You’ve got your mind on your money, and your money on your mind. You’ve heard that lyric a hundred times, but suddenly it’s really sinking in. The older you get, the more financial responsibility you have. At some point, your priority is not just supporting yourself, but supporting your loved ones. Add a car, children, and a house into that equation and it will equal a lot of stress and anxiety. That’s why managing your financial health is important for managing your physical and mental health. When you’re spending time with your family, the last thing you want to be thinking about is your financial stress. In order to help remove those woes, we have a few tips for how you can manage your personal finances and keep yourself in the green. 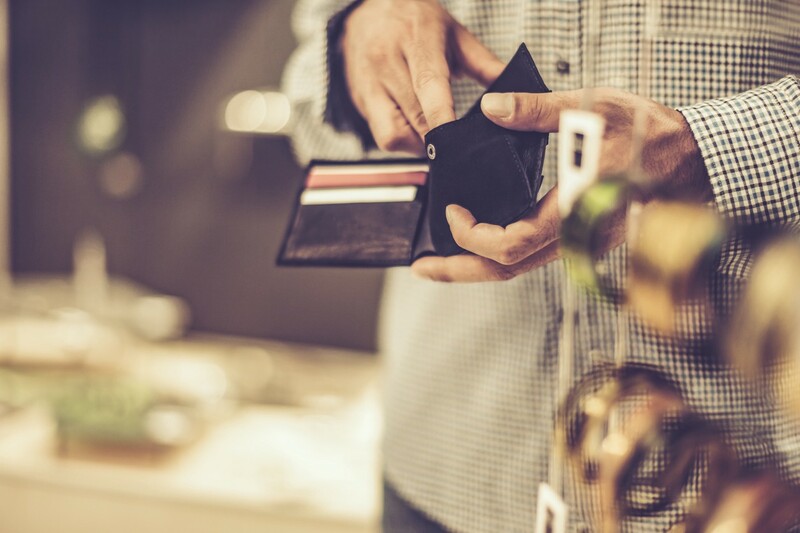 If you are the type of person to choose card over cash and throw away your receipts, chances are that you don’t really have a grasp on what you’ve been spending your money on. The first step towards being more financially savvy is to understand where all of your money goes. By reviewing your recent bank statements, you’ll be able to see what your last large purchases were and reflect on whether or not they were worth it. Did you buy 200$ jeans three months ago that you don’t wear anymore? Make a note of it. That’s 200$ you could have used to pay off loans or spend on a vacation. You’ll also be able to see what your biggest spending habits are. Have you spent 500$ on wine nights over the past few months? Moving forward, you can make the decision to cut those wine nights in half or all together. Having more insight on your spending habits is empowering and the first step towards saving in the future. Most of your monthly payments are set. There should be no surprises when it comes to rent, mortgages, car payments or phone bills. Knowing what your actual living expenses are can help you understand just how much of your paycheck is left over each month. Knowing exactly how much money you have to mess around with allows you to ensure that you don’t spend more than you have. It’s the easiest way to avoid and get out of debt. Of course, the smartest thing to do is save that money for future expenses or in an emergency fund, but that’s really up to you. We briefly touched on this, but you might be spending money on things that aren’t worthwhile and simply unnecessary. Think hard about which purchases are going the bring you and your loved ones the most joy. Think even harder about if that purchase should be prioritized above a less-fun purchase that is actually much needed. Sometimes, cutting costs doesn’t mean cutting a purchase all together. You can consider things such as refinancing to make sure you’re getting the best payment plan possible. Even switching cellphone plans can help to save 10$ a month. If you switch to cheap plans and payments across the board (cellphone, insurance, auto loans, etc) that saved money will add up at the end of each year. Alright, so you’ve educated yourself on your spending habits and how you can save money here and there. You’ve critically thought about what your necessities are and where you want to put your extra income. The next step to being a personal finance guru is creating a budget and then actually sticking to it. You don’t have to be an Excel master to create a spreadsheet and input your monthly income and expenses. You can use your budget to plan out the next year or even 10 years! However, the only secret to ensuring that things go to plan is to make sure you actually follow the budget you set out for yourself. Of course, there may be unexpected costs or emergencies here and there, but that’s what your emergency fund is for. If you can map out the next year or two of your life, you will eliminate much unnecessary financial stress and anxiety from your life. The Notorious B.I.G. notoriously made the idea of more-money-more-problems famous. However, having no money causes its own problems as well. Shake off those problems by getting a jump on your finances and you’ll be able to live your life with a clearer mind and happier thoughts.